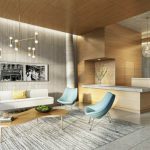 NEW YORK – (October 23, 2015) – Corigin Real Estate Group, along with its partner Florida East Coast Realty, today announced the release of the Penthouse Collection at 20 East End Avenue – two highly anticipated penthouses within a condominium building designed by internationally renowned architect Robert A.M. Stern. 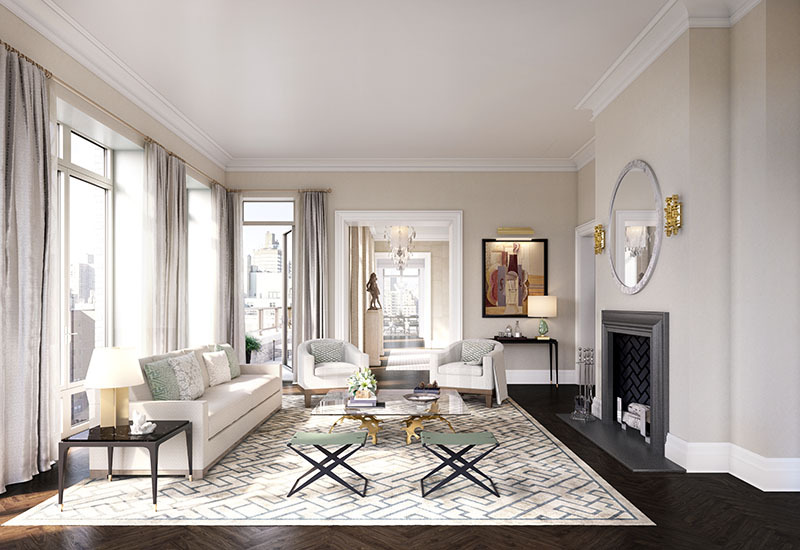 Located in Manhattan’s prestigious Upper East Side neighborhood, at the corner of 80th Street and East End Avenue, the Penthouse Collection includes two newly available residences totaling $62 million. 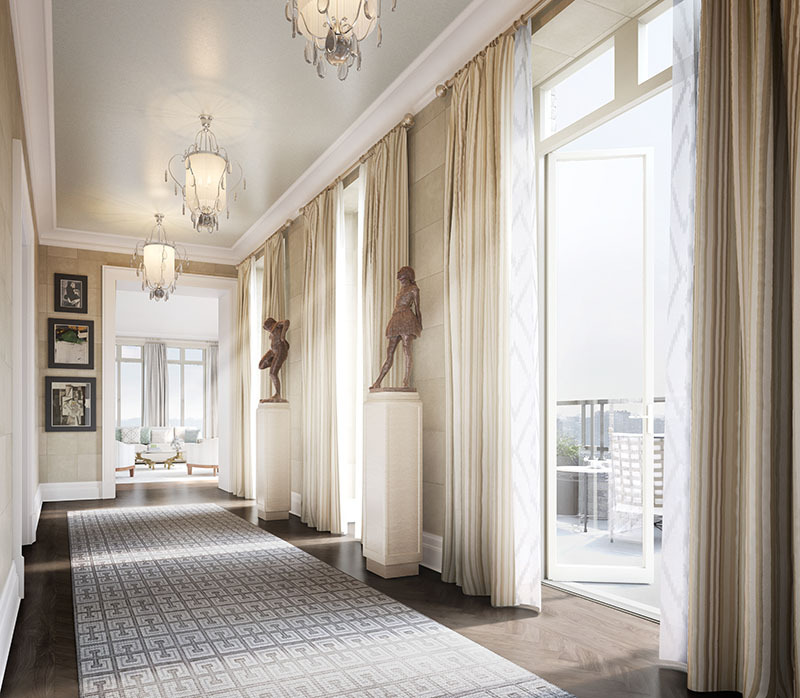 Two of the most remarkable residences being offered on the Upper East Side today, Penthouse A and Penthouse B are available for $35 million and $27 million, respectively. Penthouse A is the uppermost residence, located on the 18th floor, and features over 6,000 square feet of interior space and an additional 4,500+ square feet of private terrace space. This five bedroom, five-and-a-half bathroom residence enjoys direct elevator entry, a separate, dedicated service entrance, four wood-burning fireplaces, ceiling heights up to 11 feet, oversized windows, and four private setback terraces on the main entertaining floor. The expansive private roof terrace has 360-degree views of the city and the East River, and also has gracious “outdoor rooms,” including one with an oversized wood-burning fireplace. Penthouse B is an approximately 6,300-square-foot residence with 330 square feet of private terrace space. This five bedroom, five-and-a-half bathroom residence also features direct elevator entry, a separate, dedicated service entrance, three wood-burning fireplaces, ceiling heights up to 12 feet, oversized windows and one large south-facing private terrace off the formal dining room. 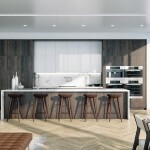 With meticulous interiors by Robert A.M. Stern Architects, both residences feature quartersawn Appalachian white oak herringbone floors in a dark walnut finish and custom casings and moldings. 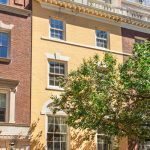 The homes include gracious corner living rooms with a wood-burning fireplace, direct access to a private terrace and coveted south and east exposures facing the East River. The light filled penthouse entrance galleries include generous wall space to display one’s private art collection. The dining rooms, each of which opens onto a south-facing setback terrace, also include custom paneled interior doors designed by Mr. Stern, and a wood-burning fireplace. Each penthouse also includes a library and a family room. The Stern-designed open chef’s kitchens feature oversized windows or exposures to brilliant natural light. The cornerstone of the kitchen design is a custom burnished nickel stovetop hood, accentuated by a subway tile backsplash in a crackled finish. A slate grey island, with an imported Brazilian granite countertop, serves as the focal point of the kitchens. A top-of-the line Gaggenau appliance package features a seven-burner gas stove, wine cooler, speed oven, wall oven and a dishwasher. The penthouse master suites feature three large walk-in closets, a wood-burning fireplace and a morning kitchen/wet bar. The master bathrooms are outfitted with Caldia Classico marble flooring, polished nickel finishes, hardware by Lefroy Brooks, and a milk glass vanity with a polished nickel frame, and marble countertops. In Penthouse B, a generous cast iron soaking tub is situated in a separate room with generous light provided by two “mini-terraces” with views of the East River. 20 East End Avenue features a number of club-like amenities including a stunning gated porte-cochere and motor court that opens into a secluded central courtyard, offering residents the option of a private arrival to the building. Additionally, there is a library featuring a book collection on the history of New York personally curated by Mr. Stern; an elegant billiards room with privately keyed cordial lockers for each residence; a private game room; and an approximately 8000-bottle capacity wine cellar featuring a private dining room with vaulted ceilings, an adjacent butler’s pantry as well as temperature and humidity controlled wine armoires available for purchase. 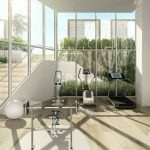 The lower level includes a children’s game room and lounges; a sophisticated, 3,000-square-foot fitness center and spa with separate high- and low-impact training rooms; private treatment rooms; a sauna; a private bicycle and storage area; emergency generator for prime building systems; and a 24/7 attended lobby concierge. Robert A.M. Stern Architects, LLP, is a 300-person firm of architects, interior designers, and supporting staff. Over its 45-year history, the firm has established an international reputation as a leading design firm with wide experience in residential, commercial, and institutional work. In addition to tailoring each project to capture the advantages of the neighborhood in which it takes its place, the firm applies lessons learned in the design of custom single-family houses to its designs for top-of-the-market apartment houses, an approach that has produced outstanding residential buildings such as 15 Central Park West for Zeckendorf Development and Superior Ink in Greenwich Village for Related and the recently opened George W. Bush Presidential Library. For more information, visit www.RAMSA.com. With over 25 years of experience in marketing and collective sales in excess of $30 billion, Corcoran Sunshine Marketing Group is the recognized industry leader in the planning, design, marketing, and sale of luxury residential development. Representing properties throughout the United States and in select international locations, Corcoran Sunshine Marketing Group’s portfolio contains a curated collection of the world’s most desirable new addresses. For additional information, visit www.CorcoranSunshine.com.